Umbrella, walking sticks, whips, seat sticks etc. Falls under HSN code chapter 66 of GST commodity tariff schedule. The details about GST rate changes for sale of Umbrella, walking sticks, whips, seat sticks etc. Are being updated here. The notification changes on exemptions for GST for sale of Umbrella, walking sticks, whips, seat sticks etc. And other circulars related to GST for Umbrella, walking sticks, whips, seat sticks are updated in this website. 1. 6601 Umbrellas and sun umbrellas (including walkingstick umbrellas, garden umbrellas and similar umbrellas). 2. 6602 Walkingsticks, seat-sticks, whips, riding-crops and the like. 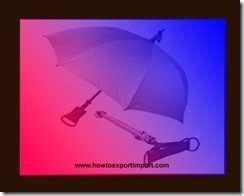 In India, GST is payable for Umbrella, walking sticks, whips, seat sticks etc. However, some of the categories of business under HSN code 66 are expected to be exempted from paying GST. The list of exempted categories of business and exempted products and services under GST is expected to be released soon. What is the GST rate on sun umbrellas? 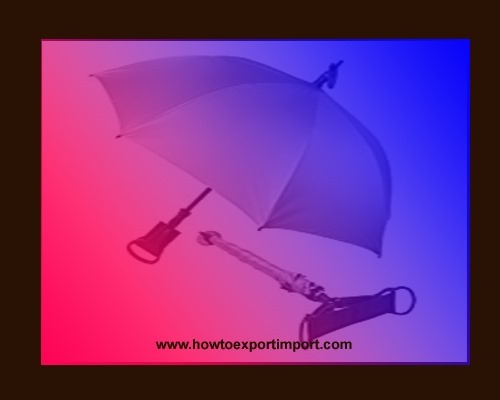 How much GST on walking-stick umbrellas?